» Geopod Propagator with Integrated Lights. 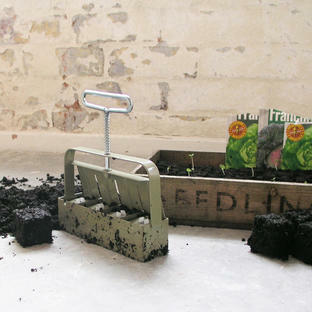 Seeds germinated in an electric heated propagator grow into healthier plants due to a more consistent start in life. 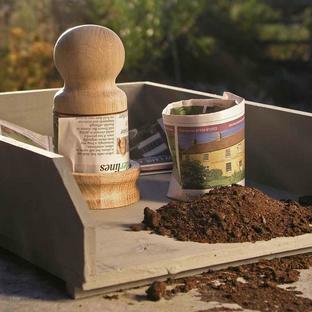 Electric Heated Propagators are a cost-effective way of helping gardeners to germinate seeds earlier and more successfully. 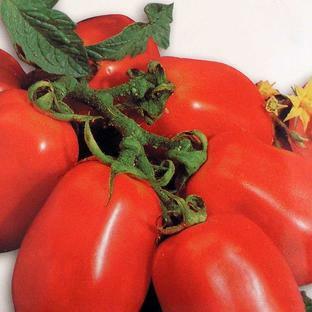 In the past, many gardeners started seeds in a heated greenhouse or just using a heated bench. But with a heated bench the warmth quickly dissipates so the heater has to be working all the time, whereas an electric heated propagator has sides and a lid which retain the warmth. 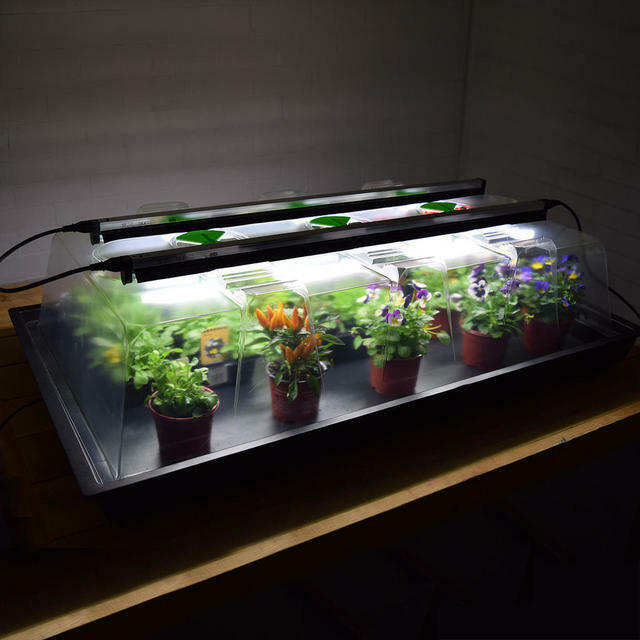 The Geopod Heated Propagator with lights has been specially designed to create the perfect environment to help your seeds, cuttings and young plants get off to a flying start. 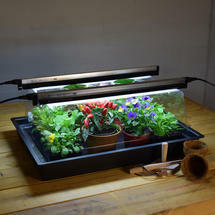 There are large vents in the lid allow condensation to be released to preventing dampening-off without having to remove the lid thus exposing your plants to cold. Thanks to their extra height, they are even perfect for overwintering plants, providing additional plant protection during the colder months. PLEASE NOTE : The lights are out of stock until early January, please let us know if you need the Geopod in advance on 0345 6052505. Thermostatically controlled - the propagator can be set to any 1°C from 5°C to 30°C using the thermostat. 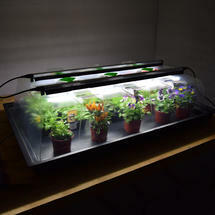 2 lights are included which sit in specially designed grooves in the lid at the correct distance from the plants. The light creates healthy growth, preventing legginess even in a gloomy spring. The lights have an average 10,000 hours life. Nanotech reflector - the lights are housed in a nanotech-enhanced reflector that reflects 99.9% of previously lost light, increases lumen availability by 300% and diffuses light deep into the plant leaves. High lid with vents - the propagator is 23cms tall allowing plants plenty of growing space.